The ever-increasing popularity of Yoga and related practices makes a desktop reference like this indispensible. 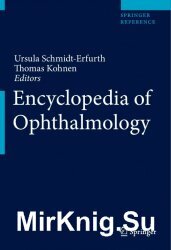 With over twenty-five hundred entries and extensive illustrations, it combines comprehensiveness with accessibility. The book is arranged and written in a manner that will inform rather than overwhelm the lay reader, while at the same time offering valuable references for the professional researcher and the historian of religion. This new edition includes information about contemporary Yoga teachers. 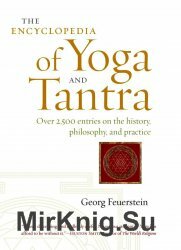 It also provides fuller descriptions and illustrations of Yoga poses, and features additional cross references. Автор: Кира Е.Ф., Корхов В.В. и др. If you're looking for a fun, fast review that boils emergency airway and respiratory management to its mostessential, must-know points, your search ends here! 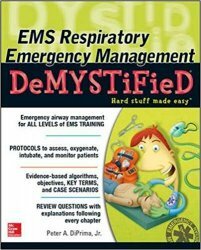 EMS Respiratory Emergency Management Demystified is a complete yet concise overview of the basics of performing this critical procedure. This guide gives you the knowledge to help your patients as a student and as an EMT or paramedic once you start your career. You will learn how to perform an assessment of a patient's airway, managehis or her ventilation, utilize RSI, use best practices forspecial patient populations, and more. Studying is easy and effective with key objectives,important terms, brief overviews, tables and diagrams, and Q&As throughout the book. 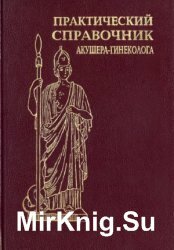 Как лечиться правильно и успешно-об этом книга доктора Елисеева. Врач-гастроэнтеролог. кандидат медицинских наук. Александр Елисеев, имеющий 30 летний опыт работы, считает. что для успешного лечения язвенной болезни желудка и двенадцатиперстной кишки необходимо соблюдать правильный образ жизни. И поменьше стрессо! Медикаментозное лечение не должно быть спонтанным и случайным (соседке помогло), а немедикаментозное лечение должно быть выверено практикой. Medicinal Spices and Vegetables from Africa: Therapeutic Potential against Metabolic, Inflammatory, Infectious and Systemic Diseases provides a detailed look at medicinal spices and vegetables that have proven safe-and-effective for consumption and the treatment of diseases, including infectious diseases, cardiovascular disease, and cancer. It provides pharmacological evidence, such as the latest information related to efficacy and safety data, in vitro and in vivo studies, clinical trials, and more, to illustrate the use of these spices and vegetables as both palliative and alternative treatments with the goal of furthering research in this area to produce safer and more effective drugs. 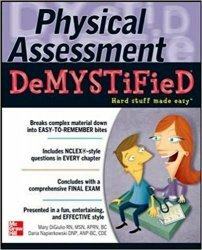 The quick and easy way to master health assessments and use your knowledge in real-world situations. 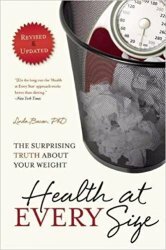 If you're looking for a fun, fast review that boils health assessment down to its most essential, must-knowpoints, your search ends here! Health Assessment Demystified is a complete yet concise overview of the basics of performing quality patient assessments. This guide arms you with the knowledge to help your patients asa student and as a nurse once you start your career. You will learn how to document medical history, examine patients, and work with other healthcare personnel to determine the best course of action. Fat isn’t the problem. Dieting is the problem. A society that rejects anyone whose body shape or size doesn’t match an impossible ideal is the problem. A medical establishment that equates “thin” with “healthy” is the problem. The solution? Health at Every Size. Tune in to your body’s expert guidance. Find the joy in movement. Eat what you want, when you want, choosing pleasurable foods that help you to feel good. You too can feel great in your body right now—and Health at Every Size will show you how.